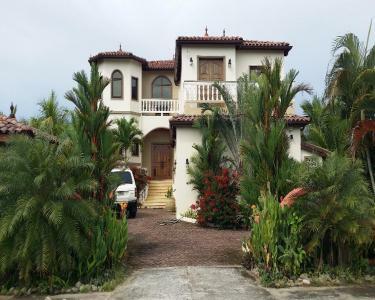 Hello and thank you for your interest in House Sitting / Pet care at our home in Panama. We have been busy making plans for our trip and now have everything sorted. This assignment begins Early June and will be 4 to 5 months in length. We are flexible since we do not have scheduled return dates and will be looking for someone that may provide some flexibility in their schedule as well. We offer quite a nice package and are looking for a Sitter willing to stay in the area (day trips only) with no compensation. If you are looking to be paid for this assignment, please understand that this is not what we are offering. Our last assignment in 2018 was for 10 weeks and was assigned to Genevive who was wonderful and really enjoyed her stay. We chose her after receiving many applicants which we narrowed down to a “top 3” which we interviewed for our assignment. If interested, we can provide Genevive’s contact information as a reference. · We are leaving on June 10th and will be gone for 4 to 5 months. · We would like to have the applicant(s) arrive by no later than the AM of the7th to allow for property orientation / introduction to Sadie. We have a large Guest Suite on the 1st floor for your stay until we leave. We will pick up applicant (s) at the David Airport (or Bus Station depending on travel arrangements). · We will need a ride to drop us off at the Airport on the AM of the 10th. We will drop off Sitters at airport or bus station upon departure. · Property is Beachfront property in a gated community with very little activity in the off season. · Beach does not provide public access within a ½ mile of our home and rarely do you see anybody on the beach. · Beach is directly on the Pacific Ocean and can be dangerous for those not active / aware. · Mangroves (2nd largest in the world) located within a mile. Local fishing tours available. · We have (2) Fishing Kayaks, (2) Stand Up Paddle Boards, Several boogie boards, a surf board, and several fishing rods available for use while here. · We drive a 1997 Toyota Landcruiser which will be available for limited use. Vehicle is not suited for longer trips so we would require you to make arrangements for such (rentals or public transportation). We recommend a vehicle rental due to remote location and for dependability. Rentals are running $700 to $1,200 a month here including insurance depending on vehicle requirements. o There are several little beachfront Restaurants that specialize in whole fried Pargo & Patacones. Most have shrimp dinners or fried chicken. Cold local beers for $1 each. o Las Olas Hotel is a local resort with restaurant, pool, gym, tennis, activities is within a mile. · Home is very large. Maid Service can be available for about $20 per day. · Gardener will be on site 2x a week for 4 hours, which we will pay for this service. This will limit the amount of work required by the Sitters. · Garbage is picked up at the street Three times a week (M, TH, Sa) early AM. · Spring Water Delivery (Drinking Water) is delivered weekly on Wednesdays ($4.50 per 5 gallon carboy). o We use unfiltered well water throughout the home and shower / bathe, brush our teeth, etc with the running water. We simply do not drink it, though others on the street that filter for sediment have no issues drinking the water. · We have a good number of plantings around the property and all are covered by Automatic Irrigation systems. We have a plumber on call in case of an issue, but ask the Sitters to keep an eye on the systems to ensure coverage (identify clogged heads to gardener for repairs). · The city of David is a 35 minute drive to the Center and you can get practically anything you would need (groceries, fruit stands Pharmacies, Department stores, Electronics, etc). · Sadie is the reason we are offering our home for this assignment. The home can be left alone, as we have staff checking in, but we want to be sure our doggie has companionship and a consistent routine. · She is a 5 year old Pit Bull. She is about 65 lbs and fairly strong for her size. · We do not have a fence on the property and she responds well to verbal commands, aided when necessary with a SportDog Training Collar. This collar has a range of ¼ mile and she responds very well to it. o The collar needs to be recharged every other night by plugging it in along with the transmitter. o The Transmitter has a “beep” button which she responds to 90% of the time during most of her daily routine in the yard. When she gets distracted or tries to leave the property. Sometimes a gentle “zap” with the collar is all that is needed. Shock level is adjustable from the transmitter itself depending on her response. o She has shown some instances of animal aggression toward other dogs on the beach, so we ask that you keep her on a leach if you want to take her with you. We go with her unleashed until we see another dog, but would ask that others keep her leashed on the beach until you have developed some confidence in her. o She likes to go for rides in the Truck around the Neighborhood if you are so inclined. o She is free to roam the house and tends to sleep in the office or in bed with us. She likes to snuggle if allowed (your call). o Feeding is very simple as she is accustomed to straight kibble with some coconut oil added. We discourage feeding her “human food” from the kitchen work area or table. She can be fed twice a day. · A “side project” of ours is managing 4 Condo Units for rentals. This is an off season and we do not anticipate much traffic during your stay. o We will coordinate all rental activity, coordinate with Owners directly, and coordinate any required maintenance and cleanings while we are traveling. o “you” will be responsible for coordinating / welcoming new arrivals and departures as required if our local partner / manager is not available. In the instance that your assistance is required, we would compensate fairly for your time. · Pump house has a 600 gallon storage tank. The irrigation is fed directly from the well. · We have a number of local service people we are in contact with and will be able to coordinate with them directly if there is an issue with systems in the home that you are not comfortable handling. · We have a number of cameras located around the property. 2 cameras are inside the home and connected to a “surveillance system” recording 24/7. These cameras will need to remain on and undisturbed during your stay. They look at the front door, rear Kitchen doors and Office area (Electronics home). The Exterior “Security camera’s” are cloud based and motion triggered during “away” or “night time” as part of security system. · Wifi is provided throughout the home and coverage in most of the yard. There are 5 wifi access points with seamless transition between them. · We have a US Telephone number with VOIP access to free calls to and from the USA. This is a business line, so we will ask that you don’t answer the phone unless you have arranged to receive a call.